This is the incredible moment a talented British bulldog, who is now a social media sensation, scoots around the streets on her skateboard. The footage, filmed by owner Debra Chandler, 33, from Ashby, Leicestershire, shows the 14-month-old dog named Pumpkin skillfully balance herself on the board as she cruises on her preferred mode of transportation. 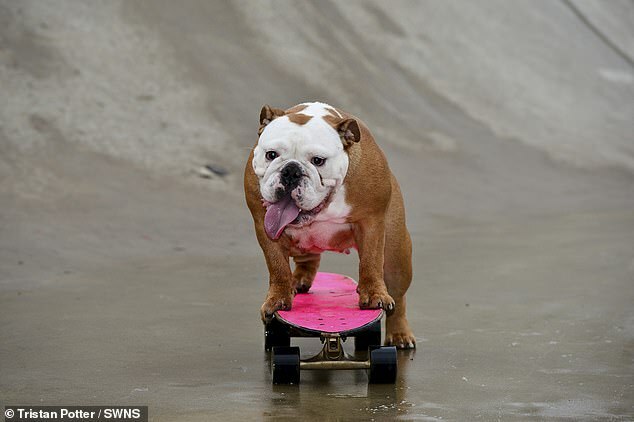 During the clip, the pooch, who has already become an internet sensation and attracted thousands of online viewers, uses her hind legs to propel herself through the air on her skateboard. As she rides on the skateboard, astonished viewers are left open-mouthed at the dog’s ability to master the difficult skill. Dog owner Ms Chandler first noticed the dog was a ‘complete natural’ at the sport when she was just eight weeks old. 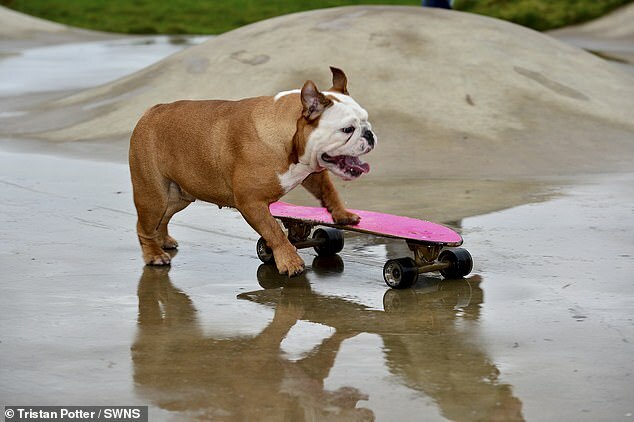 She told Leicestershire Live: ‘I knew that a lot of bulldogs just take to skateboarding, so we bought one for Pumpkin when she was eight weeks old, as a bit of a joke really. ‘She immediately jumped on the skateboard and she has just progressed from there. Pumpkin’s owner added that despite falling off the skateboard a few times her beloved dog was able to pick up the skill almost immediately. After spotting Pumpkin’s talent, Ms Chandler decided to set up Facebook and Instragram pages for her beloved pooch. 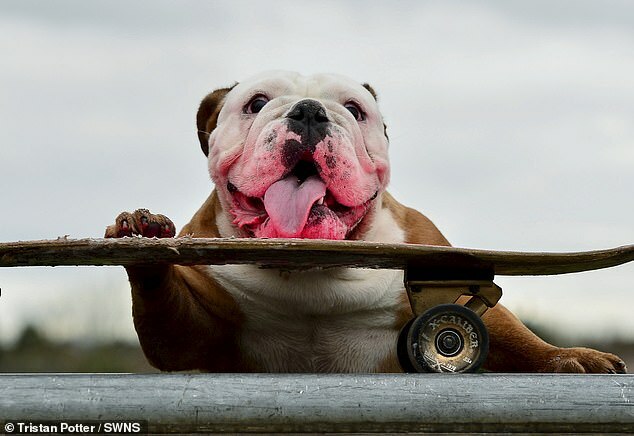 The dog is also set to show her skateboarding talents at Bulldog Day UK on June 2 this year.